Its the time of the year to assess your achievements and goals! Its been a long 2011, looking back, it was one full of dramas, tragedies and some glimpses of joy! At the start of the year, we were just building up momentum and recovering from the last global financial crisis, when were hit by the sucker punches of the earthquake+tsunami+nuclear meltdown in Japan in March and the on going European debt disaster since then. I am often asked and I often ask people I meet, what is the outlook for 2012? What are the market sentiments? Are businesses bullish about prospects? Fortunately for us living and working in Singapore, the outlook is still relatively sound, although the Singapore government is mentally preparing the nation for a slow down for couple of quarters to start 2012 due to troubled Europe and to a lesser extent, the flat line US economy.Lee Hsien Loong, the Prime Minster of SG said in an interview this week, the global economic cycles are getting shorter between boom and bust, we have to equip and prepare ourselves for volatility. How was my 2011? Am I happy with my year? If not, why? What did I do really well? What were the highlights? What held me back? Unperformed? Met expectations? Exceeded expectations? What next? Which direction do I want my business/career to go? Keep going the same course with incremental tweaks? or need to make some drastic changes? Am I ready to take on more responsibility? Grow the business, hire more people, manage a bigger team, manage the P&L? or take responsibility for a major client relationships, increase the top line? make more profits? 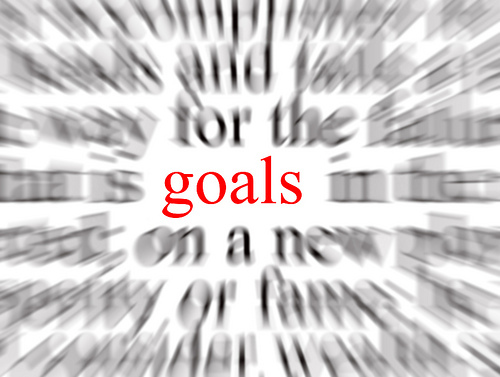 To achieve my goals for 2012, what do I need to get there? Specialized training? Learn new skills? Work harder? Work smarter? Do the important things that I have been putting off? What sacrifices have to be made to hit my goals? Am I doing it or willing to do it? What would I do differently in 2012 to further improve yourself? This is also a time salary reviews for most of us – are you aware of your own the market value when the inevitable salary discussion comes up at the end of the annual performance review? To assist you, we have salary data for the Marketing, Design and Digital industries, please go to our esalarysurvey.com tool. I will be happy to give my 2 cents worth if you need any assistance for your goal setting, feel free to drop in your comments and contact details. As the ol’ saying goes “Fail to Plan = Plan to Fail”. Enjoy your navel gazing this Christmas/New Year. Here’s to a FANTASTIC 2012 for all of us!